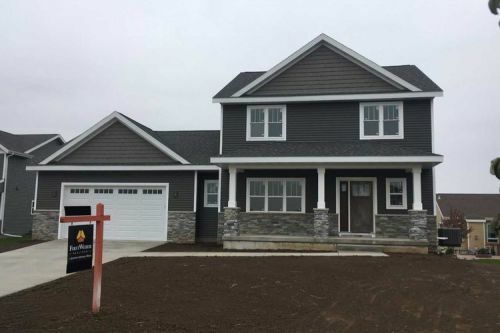 This Stately new 2-story has 2316 Quality Built square feet, 4 bedrooms, 2-Car Garage, Spacious Kitchen with Quartz Tops and Island with sink and breakfast bar, Sun Room, Great Room with Fireplace, First Floor Flex Room can be Den/Office. Laundry/Mud Room, Exposed Lower level for future finish options. Specifications and pricing subject to change.